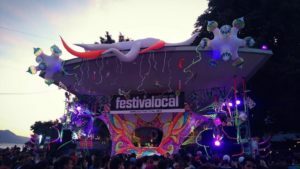 Killanation live @ Festivalocal Open-air in Vevey (Swiss), 1 June 2018 . We are happy and proud to participate in this beautiful festival on the shores of the lake geneva. Festivalocal is a free-entry open-air party with live bands and dj’s. Take a look on the event’s website on www.festivalocal.org , for videos, info and showtime.